1936: Reiki reached Hawaii; Hawayo Takata started practicing and teaching Reiki on Hawaii. 1937: Takata became the first Reiki Master in the West. 1940s (Late): Reiki migrated from Hawaii to US mainland; Takata started offering Reiki classes on the U.S. mainland. 1975-1980: The future of Reiki was secured; in total Takata trained twenty-three Reiki Masters. 1980s (Early): Reiki was introduced in several European countries like the U.K.
1985: Mieko Mitsui migrated Reiki back to Japan. 1992: Reiki organizations began to appear; the first British Reiki membership organisation was established. In terms of globalization, the most important student of Usui was Chujiro Hayashi (1880-1940), and the most important student of Hayashi was a Japanese woman living on Hawaii, Hawayo Takata (1900-1980). As a result of the work of these two key figures, Reiki migrated from Japan to Hawaii in the 1930s. (For information pertaining to Reiki prior to this time, see (Stein 2016)). Takata is responsible for the spreading in North America, and since the 1980s the process of globalization becomes visible in which Reiki is introduced, for example, in the Netherlands in 1984 and in Britain sometime in the1980s. This rise in popular growth of Reiki practice, with its first appearance on U.S. television in around 1986 where Takata’s granddaughter Phyllis Furumoto got interviewed (See, “Phyllis Lei Furumoto TV Reiki Interview in 1980’s” 2015) and later in 2010, points to how far reaching this popularity has become. Dr. Mehmet Oz, a cardiovascular surgeon and host of a syndicated television program in America, introduced millions of viewers to Reiki practice as part of a program on alternative and natural remedies. The show included not only a segment featuring a demonstration, but an enthusiastic recommendation to “try Reiki” as the #1 “Oz’s Order” at the show’s conclusion. From the 1930s until the 1970s Takata was not the only, but was certainly the most prominent Reiki Master in the West. In these decades, she developed Reiki into something more coherent with Western religious and spiritual concepts, as well as with Western culture. During this process several elements either changed or vanished while new ones entered the practice. The Japanese concept of reiki energy was replaced by the Western concept of universal life energy originating from the American Metaphysical Movement. The Reiki principle “Honour your parents, teachers and elders” replaced the original “Be kind to people” (Stein 2016). The original energetic ritual reiju for the transmission of Reiki skills in the form of using subtle energy developed towards three separate “initiations,” one for each level: Reiki 1, Reiki 2, and Reiki Master. Consequently, access to Reiki became regulated along with the initiation ritual: no initiation, no Reiki, and thus it is only Reiki Masters who decide whether or not a student can obtain a higher level through training. In closing these examples, self-development was and is a major goal of Reiki practice both in Japan and in the West, but Western individualism influenced the practice, and, therefore, self-treatment became the cornerstone of the practice for practitioners while in Japan treating other people is deemed more important because society benefits from it. Virtually all form(s) and style(s) of Reiki are addressed here as contemporary Western Reiki and have undergone these adaptations. This process of change and development still continues. The result of this process is that there are hundreds of Reiki styles where differences in doctrine and belief are visible. Before proceeding, it is important to distinguish between Reiki, the phenomenon of the practice, and the phrase reiki energy, which refers to the alleged and called upon universal life energy. It stands out that the vast majority of Western Reiki practitioners are Caucasian, “white,” or more precisely have a Judeo-Christian socio-cultural background. In the U.S., there are few practitioners with Afro-American, Islamic, Native Indian or Latino backgrounds. Similarly, in the U.K. there are few practitioners with a non-Judeo-Christian origin. Recent research seems to indicate that this has to do with the socio-cultural setting where Western Reiki is practiced (Jonker 2016). Also it seems that the majority of practitioners, roughly eighty percent, are women with an educational level that is medium to high, and that nursing and teaching professions are over-represented within Reiki practitioners. The word practitioner is a homonym; it represents practitioners that offer Reiki treatment in an official setting (practitioners or public, professional practitioners) and people that practice Reiki for themselves (practitioners or self-practitioners). This profile uses practitioner and self-practitioner synonymously as the word practitioner implies self-practitioners. There are limited statistics available on the number of public Reiki practitioners and self-practitioners, but based on what is known, they differ in terms of percentage per country. For instance, i n the Netherlands where Reiki was introduced in 1984, it is estimated that today there are around 1,000 Reiki practitioners and that there are over 150,000 self-practitioners. In a population of roughly 16,000,000, that makes the ratio 1:1,600 and 1:100. Comparatively, in India, there are an estimated 1,000,000 self-practitioners but a population of over 1,000,000,000, which makes the ratio 1:1000. In the U.K., it is estimated that there are 10,000 practitioners (Beeler 2015) for a population of 60,000,000, which makes the ratio 1:600. In every society Reiki is related to allopathic medicine, Complementary and Alternative Medicine (CAM), science, and a cultural spiritual/religious background. Also, in the West, like elsewhere in the world, there is a relation between cultural mainstream religion and spirituality and the division of a certain treatment in either allopathic medicine or CAM. In the case of the Western world, Reiki is placed in CAM because Reiki seems compatible neither with Christianity nor with modern Western science. The doctrines and convictions to be discussed are in the Western world; however they are not part of the domain of Western science, and, therefore, Reiki is not part of allopathic medicine, which is based and founded on Western science. Anticipating aspects of Reiki practice introduced in the next section, in science there is no place for the concept of universal life energy with healing capacities, no place for belief in use of symbols and accompanying mantras, and no place for energetic initiation rituals. Compared with healing activities within Christianity, Reiki differs on a fundamental level. In Christianity, it is believed that healing can only occur “by the energy of Christ” as an act of Mercy and preferably after conversion. In Reiki, the healing can be called upon at free will, and so the energy is freely accessible at any time. Further, conversion is not recognized within the practice of Reiki, although certain awareness on some sort of surrender (Beeler forthcoming) is believed to help personal development and empowerment while practicing Reiki. practice that operatespractice that operates both in every-day reality as well as in a transcendent reality. The practice, therefore, holds several rituals that are believed to offer an interface between those two realms. The best known ritual found today sets Reiki apart from many other contemporary CAM modalities: the initiation ritual. Another interface is the use of sacred and secret symbols. Finally, the aspect of healing is holistically interpreted to include spirit, which also touches transcendence. Reiki energy. Practitioners believe in a subtle energy, mostly called universal (life) energy, reiki energy, divine energy, God Power, God energy or Love energy. For all styles this is the very basic element which underpins the practice of Reiki. Relation between reiki energy and healing. A universal goal of practising Reiki is healing. Practitioners believe that receiving this energy through the laying on of hands, at will, has beneficial effect on body and/or mind and/or spirit and/or soul. Most often it is called healing where the concept “healing” is not overtly defined, but at the same time in emic literature there are numerous reports of cures resulting from Reiki treatments. Practitioners believe that this energy influences the process of healing where healing is understood through personal narrative, like curing of a disease or easing of a mental state. In other words, there is a personalized version of some sort of salvation either in this life and/or the next life. Most often practitioners state that practicing Reiki on oneself or receiving Reiki from another person promises to stimulate self-healing capacities of body, mind and spirit and to restore balance. In a wider context, it is the tool for self-development where (personalized) healing finds its place. In etic literature, healing through Reiki is already recognized as holistic healing (Jonker 2012), and it is recognized that the process of healing and care reflected within Reiki practice characterise the social and cultural values of well- being (Adelson 2009) for the Reiki milieu. “Love” is a value in the healing process of well-being and is seen to underpin the moral imperative to provide care (Beeler 2015). This imperative becomes a practical ethic when knowing what the right thing to do means actually doing it (Aristotle and Crisp 2000). Love, as it is used in the West, is problematic, however, in that it leaves little room for understanding what is going on (Oord 2008). By discussing love analytically, aligning it to the term agápē, this value can be understood as an intentional response to promote well-being (Oord 2005). Therefore, within Reiki practice as healing and care, it is demonstrated that love is a foundational value of well-being. This demonstrates a central link between spirituality and well-being where doing—becoming—being is a way in which British practitioners processually embody the Reiki practice in their lives. The fluidity of doing—becoming—being with the return to doing is further encapsulated in the nature of Reiki practice as self-practice. Enhancing powers. Practitioners believe that the more one practices, the ability to giving Reiki increases: the stronger the flow of energy becomes. Magic powers. Practitioners believe that the use of certain specific Reiki symbols accompanied by phrases or spells called “mantra” enhances and empowers the practice of Reiki and the process of healing. Holism. Practitioners believe in the concept of holism, where body, mind and spirit are involved and integrated. For some practitioners, like in The Netherlands, this idea is often extended to the belief in past lives and sometimes also to future lives, whereas in Britain, this was not always the case. Connection with transcendent reality. Practitioners believe that one has to undergo the process of initiation, by which the ability of “giving Reiki” is activated, before one can practice Reiki oneself. They also believe in the effect of a so-called Master initiation through which one is acknowledged being a Master oneself and acquires the ability to perform the initiation ritual for others. his lineage through all preceding initiating Reiki Masters to the founder, Usui. This system also offers a control mechanism in who can and cannot get access to Reiki; one has to be initiated by a Reiki Master. The procedure of controlling access is also directly connected to the initiation ritual: no initiation, no Reiki. Therefore, the Reiki Masters decide who gets initiated or in other words, gets access to Reiki. External authority. It has been found that a majority, but not all, practitioners believe that the reiki energy is some sort of external authority with specific characteristics; for example, that the energy can “watch over you” or helps you in making right choices in life. In some cases and styles, a sort of surrender to the energy is proposed and believed to be helpful in letting the reiki energy act in a beneficial way for the practitioners and the one receiving reiki . Considered in this way, the intersubjective relationship with reiki energy as an external authority, practitioners can be thought to push against the cultural discourses that once constituted their identities and guided their lives (Beeler 2017). Non-living objects. It is believed that both living objects (human beings, plants, animals) and non-living objects, like one’s own processes (unemployment, relation problems, and the like) or situations in the world (environmental issues, wars, international conflicts etc. ), can be treated. The doctrines and beliefs are reflected in Reiki’s rituals and practices. Contemporary Western Reiki (including Reiki in the U.S. and U.K.) is best known for its (energetic) healing technique where the next rituals and practices are visible. Reiki training is traditionally offered in three levels: Reiki 1 (beginners training), Reiki 2 (advanced level) and Reiki Master (training to become a Reiki teacher). In the West, all three levels hold a specific initiation: Reiki 1 initiation, Reiki 2 initiation and a Master initiation. New Reiki styles that are still developing show variance in this number of levels and initiations. 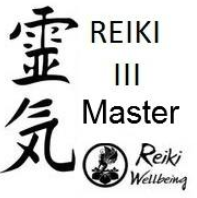 For instance Reiki Jin Kei Do has training levels 1 and 2; however, the Master training is split into Reiki 3a, 3b and 3c. The second best-known feature is the transmission of the ability of practicing Reiki, which includes the laying on of hands. This transmission is done by an energetic ritual, most often in the West addressed as attunement or initiation (derived from the Japanese ritual reiju as introduced in the entry on Japanese Reiki (Stein 2016). This ritual can only be performed by a person who has undergone the ritual, like a Reiki teacher. This type of transmission makes it possible that every Reiki student should be able to trace their lineage back to Usui. Reiki training is always accompanied with such an initiation. The initiation ritual involves three parties, the novice, the Reiki Master, and the reiki energy. During this ritual the Reiki Master functions as a mediator between the novice and the reiki energy. Consequently, the ritual takes on shamanistic qualities in that the novice becomes him/herself a medium for the reiki energy and consequently is able to “channel” the reiki energy or universal life energy by means of the laying hands on him/herself, other people, or other living objects (like plants and animals). After a Reiki 2 initiation the novice is supposed to be able to use three sacred and secret (better: private) symbols with accompanying “mantras” and is supposed to perform distant or absent treatments. After the Master initiation the Master candidate is ostensibly able to perform the three types of initiation on new students. When students have received a Reiki 1 initiation, they can “give Reiki” for the rest of their lives. “Giving Reiki,” or the Reiki treatment, is performed by the laying on of hands on oneself or another person. Sometimes Reiki is offered by blowing or staring with the eyes but the laying on of hands is by far the best known attribute of Reiki practice. Most acknowledge the importance of physical touch. It is believed by many that touch goes beyond the level of personality (or ego, as many like to state) and addresses other, deeper levels of one’s consciousness and personality. Most styles explain that Reiki can be given to all living objects, including animals and plants. When a student is trained in Reiki 2 and has received the Reiki 2 initiation, they can “send Reiki” through an absent-treatment or distant-treatment. All known Western Reiki styles offer the possibility of a distant- treatment through which it is believed to be possible to treat a person who is not physically near the practitioner, as in a hospital or at the other end of the world. Practitioners’ experiences hold that the distance expressed in earthly miles has no influence on the efficacy of the treatment. Reiki symbols are used during the Master initiation as well as by advanced practitioners who have trained in Reiki 2, where the symbols and its use are taught. There are at least three Reiki symbols in every Reiki style. There is some sort of power-symbol that is believed to focus or strengthen the transmitted reiki energy; there is a distant-symbol that is used to “make contact” with the recipient of the distant-treatment; and there is a mental-symbol that is used during treatments that concern issues of the mind (like anger, fear, worries). In addition, many styles make use of a fourth symbol, a Master-symbol that came into being in the West and is used during initiations..
Reiki “mantras” accompany the symbols in order to empower or activate them. In fact, they are not really mantras but more incantation-like words or phrases that are spoken out loud or silently in one’s mind during the drawing of the symbols. Mantras that can be found on emic websites and literature are: choku rei for the power-symbol, seiheki for the mental-symbol, and hon sha ze sho nen for the distant-symbol (Jonker 2016). This version has spread widely and is used within other styles and has subsequently been translated again. In other countries, like in the Netherlands and Germany, these English precepts were translated several times in Dutch and German. There is not one final version; emic literature shows several translations. Self-treatment has become the cornerstone of Western Reiki practice. This can be considered a direct result of one of the translated precepts, which stresses “be honest in your work,” or the importance of doing your own self-treatment daily as an intentional, honest endeavour. One can often hear statements such as that one has to heal oneself (to some extent) before one can help and heal another. It seems to fit in Western culture to focus firstly on the “I.” This focus is part of the often emphasized self-development that is visible in New Age and new spiritualities and spiritual practices. For many practitioners, self-development either is the goal of Reiki, or is the path to the goal of Reiki, where in that case the goal might be called, for example, healing, enlightenment, being in balance. Often the phrase empowerment is used in terms of self-development and self-employment in the process of personal healing towards a sort of salvation, liberation or self-realization. Keeping in mind that Reiki practitioners seek healing from a holistic perspective, it is clear that Reiki touches spiritual and, depending on certain scholarly definitions, religious elements. Within the practice of Reiki a certain order is recognizable. 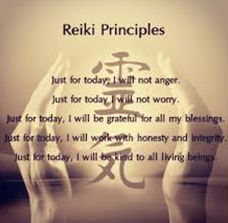 People start with “doing” Reiki exercises, self-treatment and live a life guided by the Reiki principles. In time, this daily discipline involving the body results in an embodied state of the practice of Reiki where practitioners “become” Reiki. Eventually they are recognized as “being” Reiki, a phase conveying that they walk their talk and Reiki becomes a way of life. Many Reiki Masters consider their way of life and coping with its challenges as such an intentional way of life. 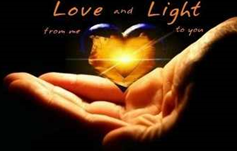 This is also most often the phase of (self-) development where people reach out from their private space of practice to the public space where engagement becomes visible and reflects the core values of Reiki: love, connection and compassion. This process of doing-becoming-being results in the practitioner embodying Reiki practice and thereby it becomes “a way of life” (Beeler 2015). Among Western Reiki styles, differences are visible in certain elements of the practice. For instance, there is variance in the number of sacred symbols used, the way the initiation ritual is performed and how many times it should be performed, the fees for training, the number of levels a student can obtain, the translation of the original five precepts written in Japanese kanji into a Western language (for example English, Dutch or French). More recently, the Reiki initiation is also offered on-line. In this version, one puts one’s hands or one’s forehead on the computer screen in order to be initiated. However, this form is commonly rejected and labelled as not being Reiki because this initiation lacks the alleged physical and energetic presence of a Reiki Master necessary in the initiation ritual. Reiki appears in many different styles. Most of them hold a spiritual leader who is addressed as, for instance Grand Master (as in the case of Usui Shiki Ryoho) or representative (as in the case of Jikiden Reiki). The term Grand Master came into being in the early 1980s. After Takata died, some of her twenty-three or more trained Masters discussed the future of Reiki. 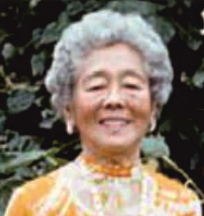 Most of them recognized the granddaughter of Takata, Phyllis Lei Furumoto, as successor and gave her the title Grand Master to distinguish her from the other Masters. From then on the Masters in the lineage, often referred to as “spiritual lineage” (Usui, Hayashi,Takata and now also Furumoto) were called Grand Masters. Similar to a family tree, every Reiki practitioner has his/her own “initiation lineage” that leads back from that individual through all preceding initiating Masters to one of these Grand Masters and ultimately to Usui himself. The Reiki Alliance is an international community of Reiki Masters dedicated to the practice of Usui Shiki Ryoho, the Usui System of Natural Healing. We nourish and empower our members with opportunities for personal and spiritual growth. Guided by the precepts, members deepen their mastery and connection with the Spiritual Lineage through worldwide gatherings, accessible communications, educational development and mutual support. The style of Usui Shiki Ryoho and the TRA organization is the root or source of the vast majority of the existing Reiki styles in the West. Today, there also are Japanese Reiki styles that train practitioners in the West, like Jikiden Reiki, styles that are a mixture of Japanese and Western Reiki, like Gendai Reiki, and styles that emphasize Buddhism in the practice, like Reiki Jin Kei Do. Since then, hundreds of styles emerged, which added elements from other spiritualities or practices (like Tarot cards, crystals or angels), or are influenced by other spiritual leaders (like Sai Baba or Osho). In 1992, the first British Reiki membership organisation was established, and by 1999 Reiki practice was offered in the oncology wards at the University Hospital in London. Besides the aforementioned organizations that all have a physical presence, Reiki practitioners (mostly the Reiki Masters) refer to a so-called Reiki community. Because every Reiki student may know the lineage of initiation back to Usui, it is fact that all Reiki students have their places in this virtual Reiki tree. The sum of all initiated students is called the Reiki community where students either are an active “node” in it or a passive leaf on the tree. This type of “organization” can exist thanks to modern means of communication like the internet, email, personal websites and modern social media like Facebook. Numerous attempts are made by Reiki practitioners to get Reiki acknowledged by medical staffs of healthcare institutions. In Britain, for example, some practitioners are motivated by the desire to create a sense of credibility or value in relation to conventional medicine. One way of achieving this, for regulatory purposes, is that Reiki practitioners’ lineage must start with Usui. Additionally, the promotion of good standards and practice must take place in the form of Continuing Professional Development (CPD). Members who join a regulatory body, such as the Complementary and Natural Healthcare Council (CNHC), are required to undertake twelve hours a year of CPD work. CPD courses are offered by the membership organisations, such as The U.K. Reiki Federation, with the purpose of maintaining and building on practitioner skills and knowledge. Additionally, the organization promotes the recently approved (2009) National Occupational Standards (NOS). The NOS are statements that describe what an individual needs to be able to do know and understand in order to be safe and competent to practice. An independent agency called Skills for Health is responsible for establishing NOS for a wide range of health care disciplines, including many complementary therapies. The self-regulation, as introduced by the House of Lords, is voluntary not compulsory; therefore it serves to regulate the practitioner, not the practice. Nonetheless, Reiki still is labelled as CAM. Only in those cases where given members of a medical staff show an interest in Reiki or have heard of some positive results, is Reiki offered to patients. Much less effort is undertaken to get access to the healthcare system through the entrances of mental healthcare (psychologists, psychiatrists) or spiritual care, although the concept of holism could justify such attempts. Other cases where Reiki is accepted show that in those cases Reiki is presented as less religious or spiritual, with an almost secular or profane appearance, similar to the way mindfulness is stripped from its Buddhist religious context and thus becomes more and more accepted by regular healthcare. Although establishment healthcare has labelled Reiki as a CAM modality, within the field of religious studies (practicing) Reiki is recognized as spirituality or even as holistic spirituality (Jonker 2012, 2016; Beeler 2015; Jespers 2012), as well as a “functional equivalent” for religion (Jespers 2011), At this moment, there is no academic literature that labels Reiki as (a) religion, but several authors recognize religious elements in Reiki’s practice, especially in its worldview. Within medical studies, much research can be found in databases for medical staff, such as PubMed. Scanning through this database of publications gives the impression that it seems hard to “prove” that Reiki has beneficial curing effect for medical diseases. Nonetheless, there are results that indicate that Reiki has a beneficial effect in the area of reducing stress, pain, anxiety and the like. This in itself obviously has a positive effect on curing and regaining balance. The latter results also may indicate the importance of the mind in the process of illness and curing. In the field of study of religions, the focus is not on illness and curing but on dis-ease and healing. In this treatise, healing is seen as a holistic process where body, mind and spirit are involved and where curing does not have to occur in order to heal. This becomes particularly visible when Reiki practice becomes a way of life and where daily self-treatments and the Reiki principles are the tools and guidance for living one’s life. The vast majority of Reiki adherents have taken on a Reiki training either as a practice for self-development and self-healing through self-treatments or to be able to treat others. Since the 2010s, some effort can be found in offering Reiki to others specifically in crisis situations in order to promote a better world. For instance, the Dutch organization Reiki Wereldwijd (Reiki worldwide) offers Reiki treatments to victims of the Balkan war of the 1990s in Bosnia. In 2015, they started to offer Reiki to Syrian refugees of the Syria war (2010s) who are located in the Netherlands. These examples indicate that a certain transition takes place beyond the borders of one’s own private domain to those in the public domain. Adelson, Naomi. 2009. “The Shifting Landscape of Cree Well-Being.” Pp. 109-23 in Pursuits of Happiness Well-being in Anthropological Perspective, edited by Gordon Mathews and Carolina Izquierdo. New York: Berghahn Books. Aristotle, and Crisp, Roger. 2000. Nicomachean Ethics, Cambridge Texts in the History of Philosophy. Cambridge: Cambridge University Press. Beeler, Dori M. 2017. “Reiki as Surrender.” Journal of Contemporary Religion 32:465-78. Beeler, Dori M. 2015. An Ethnographic Account of Reiki Practice in Britain. Durham: University of Durham. Jespers, Frans P.M. 2013. “From New Age to New Spiritualities: Secular Sacralizations on the Borders of Religion.” Pp. 197-211 in New Age Spirituality: Rethinking Religion, edited by Steven Sutcliffe and Ingvild Gilhus. Durham: Acumen Publishing, Limited. Jespers, Frans P.M. 2011. “The Scientific Study of Religious and Secular Spiritualities.”´Journal of Religion in Europe 4:328-54. Jonker, Jojan L. 2016. Reiki. The Transmigration of a Japanese Spiritual Healing Practice. Zürich: Lit Verlag. Jonker, Jojan L. 2012. “Mysticism in a New Spirituality: A Case Study of Reiki.” Studies in Spirituality 22:293-310. Oord, Thomas Jay. 2008. “A Relational God and Unlimited Love.” Pp. 139-48 in Visions of Agapé: Problems and Possibilities in Human and Divine Love, edited by C.A. Boyd. Hampshire, Burlington: Ashgate. Oord, Thomas Jay. 2005. “The Love Racket: Defining Love and Agape for the Love-And-Science Research Program.” Zygon 40:919-38. Stein, Justin. 2016. “Reiki (Japan).” Accessed from the World Religions and Spirituality (forthcoming). “The Reiki Alliance.” Accessed from http://www.reikialliance.com/en/ on 8 October 2015.